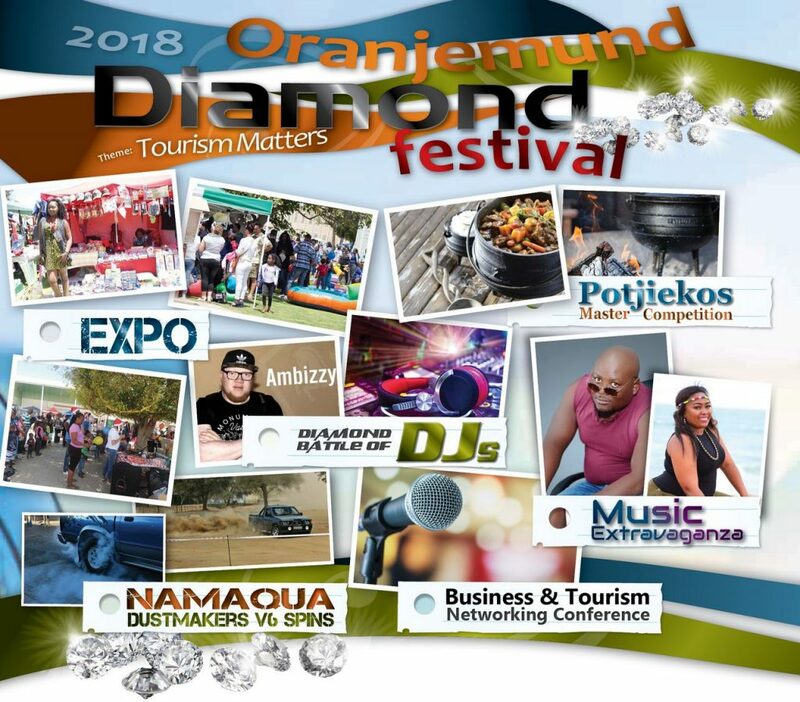 Oranjemund was officially established in 1936, following Hans Merensky’s discovery of significant alluvial diamond deposits on the north bank of the Orange River and the adjacent northern coastline. 1908: A railway worker, Zacharia Lewala, stumbles on a shiny treasure near Luderitz. The sparklingly discovering leads to a major diamond rush, initiated by August Stauch. 1908: Diamond mining regulations are introduced and the Sperrgebiet (or forbidden territory) is declared. 1920: Sir Ernst Oppenheimer forms Consolidated Diamond Mines of South West Africa (CDM). 1923: CDM concludes the Halbscheid Agreement with South West African Administration, granting CDM the mining rights for the Sperrgebiet. 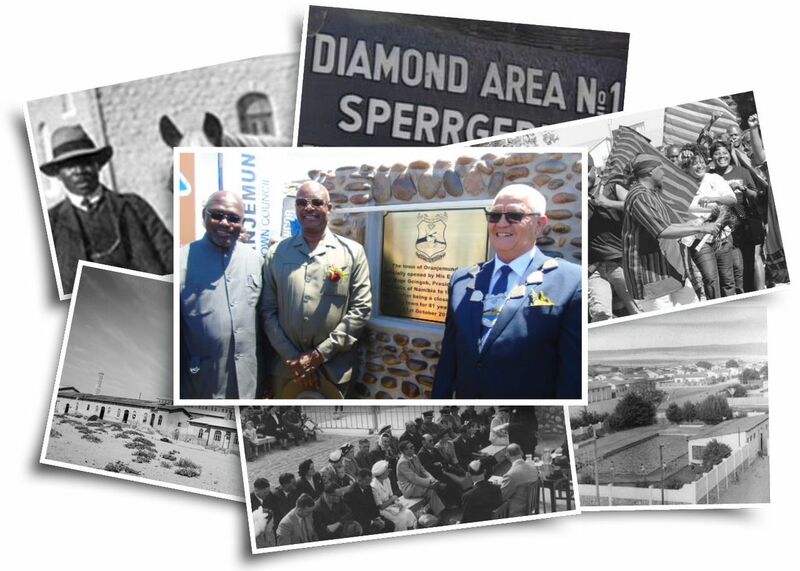 1943: CDM Head Office moves from Kolmanskop to Oranjemund. 1951: Oppenheimer Bridge linking Namibia with South Africa is opened, another higher, wider bridge is built two years later to withstand floods better. 1961: First offshore mining concession granted. 1977: CDM Head Office moves from Kimberley to Windhoek. 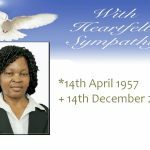 1994: An agreement between CDM and the Government of the Republic of Namibia results in the formation of Namdeb Diamond Corporation (Pty) Limited. All De Beers Group existing Namibian mining licenses and related rights are replaced by a consolidated and rationalized mineral agreement. 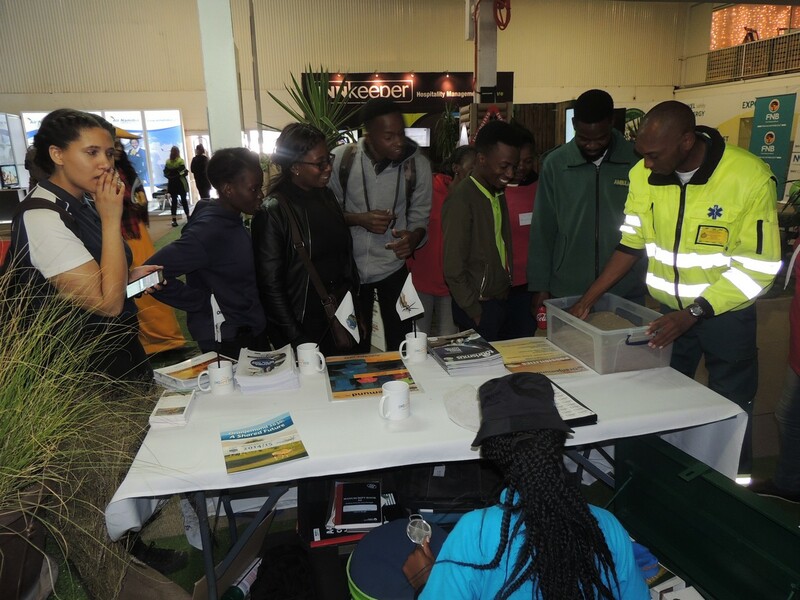 2010: Project 2050 is initiated, the projects primary objective is to extend the life of sustainable and profitable mining activities beyond 2050. 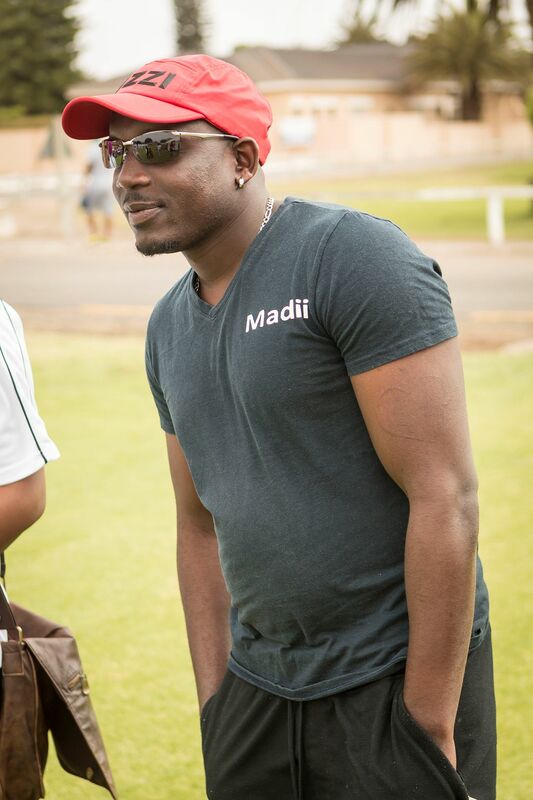 2011: The Government of the Republic of Namibia and De Beers signed the new structure agreement which rearranges and equalised the shareholding structure of Namdeb and De Beers Marine Namibia. 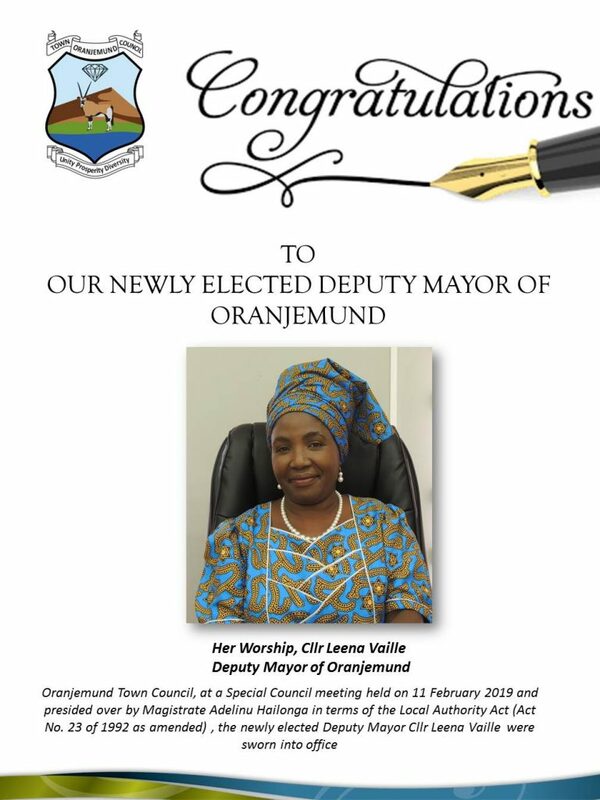 2011: The Government of the Republic of Namibia declared and proclaimed Oranjemund as a Town. 2012 : First elections for Local Authority Councilors. 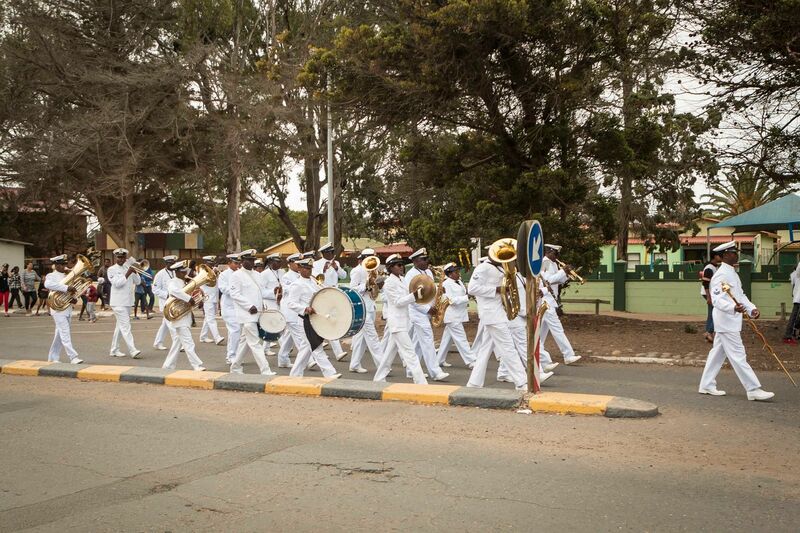 2013 – 2014 : Town transformation process of the handover of municipal services from Namdeb- Oranjemund Town Management Company (OTMCo) to the Town Council. 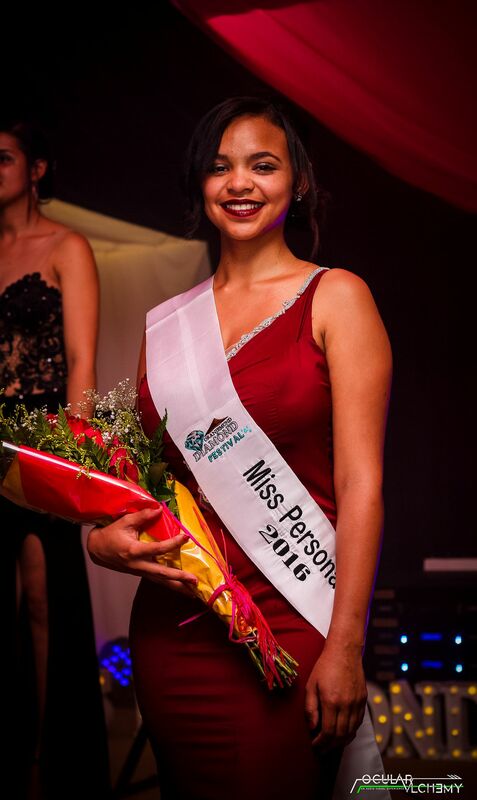 2 June 2018 : Oranjemund crowned the Namibia Small Town of the Year. 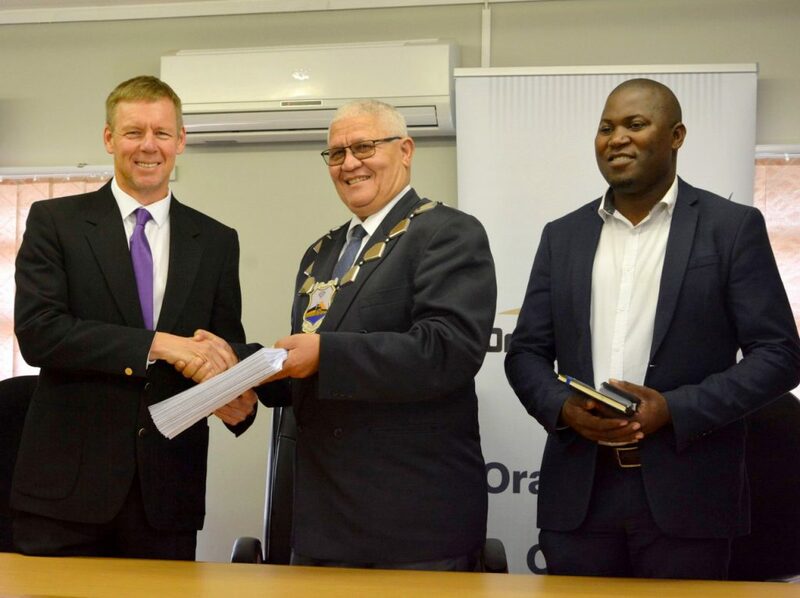 11 June 2018 : Oranjemund Town Council and Namdeb Diamond Corporation signed a Memorandum of Agreement on transferring of all municipal services, infrastructures, assets, sales of land and existing improvements.